The cautiously anticipated sequel to 2013’s Man of Steel, Batman v Superman, released this past weekend to mixed reviews. Seen by many as DC Comics’s desperate attempt to catch up to Marvel’s team-up movies like The Avengers and the upcoming Captain America: Civil War, Batman v Superman exhibits some of this desperation with a two-and-a-half hour long movie crammed with origin stories, action sequences and nearly every member of the Justice League in some form or another. The opening sequence of Batman v Superman is one of the most interesting scenes in the film, as it explains where Bruce Wayne was during the catastrophic events that occurred in Metropolis during the Superman and General Zod fight in Man of Steel. Director Zack Snyder decided to show the destruction of Metropolis from Bruce Wayne’s point of view, and in doing so captured the epic scale and magnitude of the destruction from the two Kyptonians battling in the sky. Wayne hustles through crumbling Metropolis, giving what aid he can to civilians trapped in the rubble. This human experience gave a different perspective to the clash of titans experienced by viewers in Man of Steel and also provided a believable rationale behind Wayne wanting to corral Superman. Perhaps the most highly discussed aspect of Batman v Superman before its release was the choice of Ben Affleck as Batman. While many fans were — and some still are — outraged at his casting, Ben Affleck defies expectations with his portrayal of Bruce Wayne/Batman in this film. Affleck plays an older, grittier Batman similar to the Batman in Frank Miller’s 1986 graphic novel The Dark Knight Returns. This version of Batman is clearly still psychologically damaged from witnessing his parents’ murder as a child, and his emotional scars display themselves in the fight scene between himself and Superman. Affleck brings a gravitas to the role that his predecessors didn’t, and in doing so plays true homage to the Batman character that readers of the comics will appreciate. This film did great fan service to those who are very familiar with DC Comics and with particular graphic novels, such as The Dark Knight Returns. It seems, however, that people unfamiliar with the comics would have trouble understanding or relating to the new characters introduced in the film. It is clear this film serves as a springboard for a Justice League movie. Four characters who will eventually compose the Justice League are introduced very briefly in Batman v Superman, and none with really enough time or effort to make the audience care about them or their stories. For example, Wonder Woman has a minor role in the film, but her name is mentioned only briefly (her last name, not her first) by a flight attendant, and no explanation is given as to her background or where she came from. More respect and time should have been given to the most powerful and well-known heroine in the DC universe. The first two hours of Batman v Superman had decent pacing, but the ending sequence dragged the film out far too long, and unnecessarily so. The villain thrown in at the end was just that — a throwaway character to provide some reason for Superman, Batman and Wonder Woman to team up and fight something. The cliche ending was something fans have seen many times, so much so that few were fooled at final frame’s reveal. Batman v Superman touts good action sequences (something director Zack Snyder is known for), an interesting Bruce Wayne/Batman and a decent plot with decent pacing for the first two hours of the film. The movie suffers from an unnecessary final half-hour, too many characters with inadequate introductions or development, and overall an experience that felt more like a Hail Mary by DC than an appropriate Man of Steel sequel. 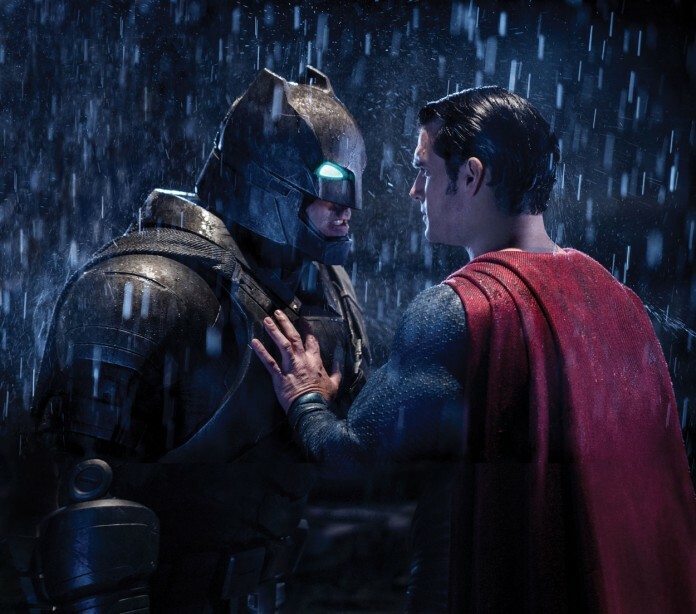 This reviewer gives Batman v Superman an adequate 6/10.